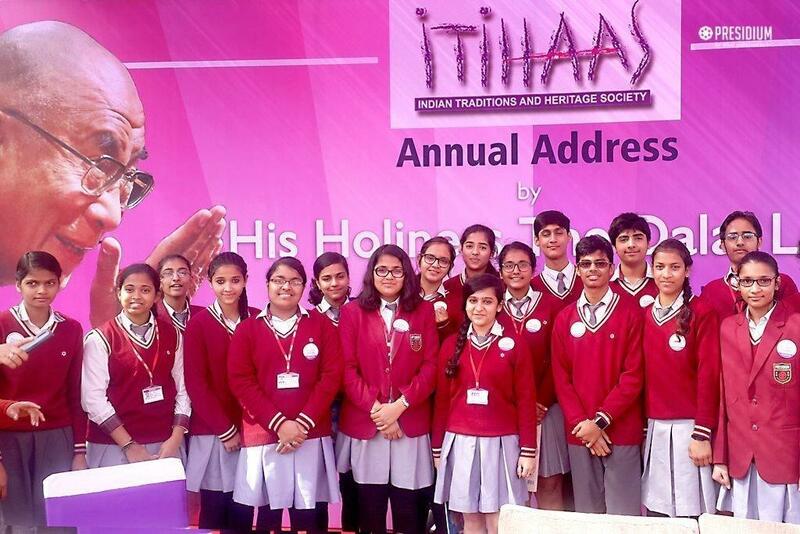 ITIHAAS believes that such innaugural addresses will allow more and more students to take charge and work together to tackle and creatively rethink the array of challenges that face our world today. In its inaugural edition the address was delivered by His Holiness the Dalai Lama on 6th February 2017 at the convent of Jesus and Mary, New Delhi. Our school children also witnessed the blessing of His Holiness the Dalai Lama. 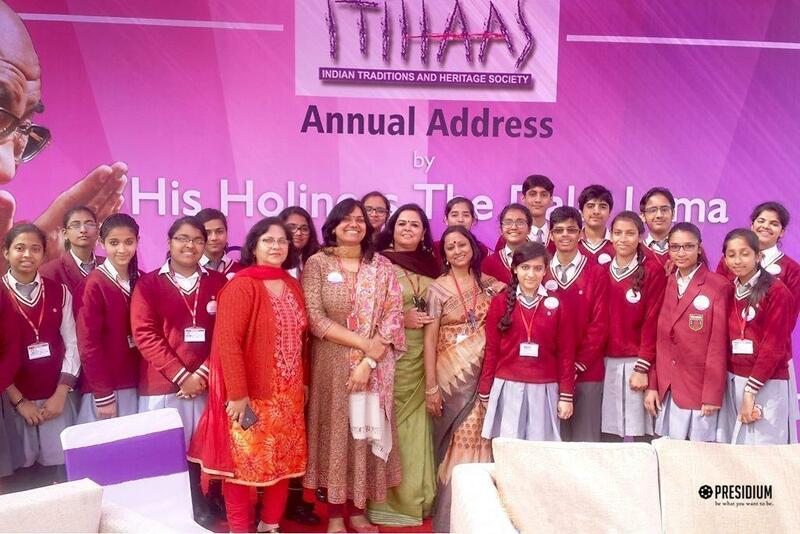 The event started with the welcome address by Smita Vats, Founder-Director, ITIHAAS. It was followed by the commencement prayer by students of Raghubir Singh Junior Modern School. During this prayer Vilas Vinayak Who is a self-taught artist made an amazing portrait of His Holiness the Dalai Lama. His Holiness addressed the children from different schools gathered to witness the grand event. He said that only 21 st century people will and can bring change .Today’s generation is the only hope of the world to build happier and compassionate world. At National level, International level and Individual level everyone will be happy by practicing love, peace and compassion. All the problems are carried by us only. Buddhism teaches us only love, forgiveness and tolerance. Human beings only create problems and violence. We should create happier community not the miserable community. Now we must act by using our intelligence and by thinking non-violence. His Holiness emphasized on the spirit of the dialogue. 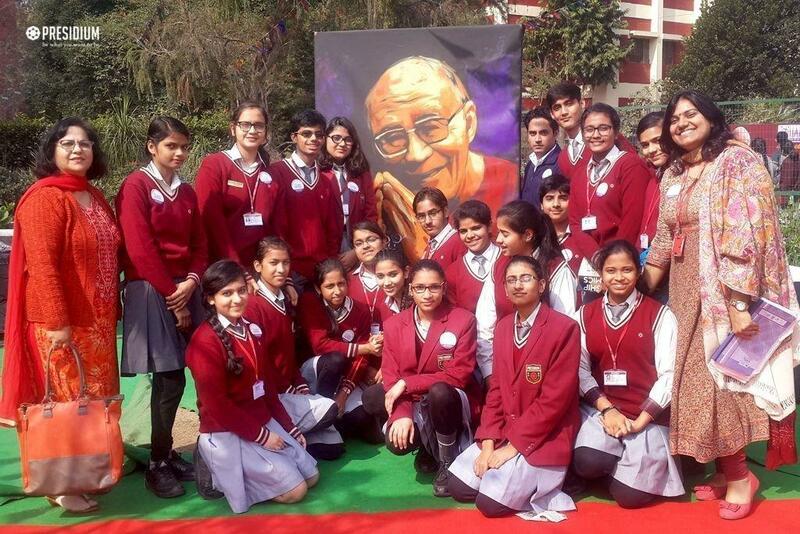 With the inspirational words by His Holiness, the students took back home, kindness and compassions.